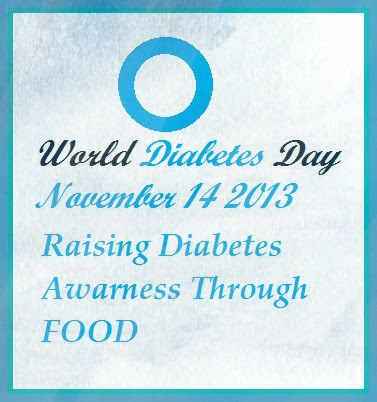 Today is World Diabetics Day and this post is dedicated to the same. A few of my close family members have diabetics and when Swati pinged me about a post for the same, I was happy to do the same. It is really nice to see her interest in creating the awareness and I am glad to be part of it. This is a simple crepe made with whole wheat flour. It is similar to the pancakes and is cooked on a griddle. It needs no fermentation unlike the regular dosai and can be made in a jiffy. I have added a couple of tbsp of sooji to add some crispness, but it is totally optional. Off to the recipe. Crepes made with whole wheat flour. Mix all ingredients except oil and mustard seeds. Add water and form a batter that is slightly thinner than the regular dosai batter. Heat 1/2 tsp of oil and splutter mustard seeds. Add this to the batter. Heat a tawa and pour a ladle of batter and spread to form a circle. Add about 1/2 tsp of oil around the edges. Flip over in a minute or two. Allow the other side to cook. Dosai is ready when both sides are golden brown and cooked. Serve warm with chutney of choice. 1. Mix all ingredients except oil and mustard seeds. 2. Using water form a batter that will be slightly thinner than the regular dosa batter. 3. Heat 1/2 tsp oil and splutter mustard seeds. 4. Add the seasoning to the batter. 5. Heat a tawa and pour a ladle of batter and spread to form a circle. Add about 1/2 tsp of oil around the edges. 6. Flip over in a minute or two. Allow the other side to cook. 7. Dosai is ready when both sides are cooked. Serve warm. Tasty dosai ready. We had it with ginger chutney. loved the way you presented the dosa like rolls.nice! Thanks Vardhini, for joining me in creating diabetes awareness on this world diabetes day.